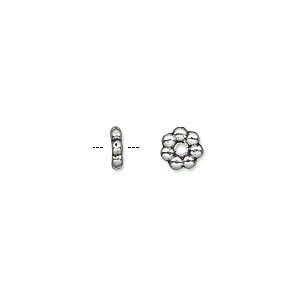 Bead, antique silver-plated "pewter" (zinc-based alloy), 6x2mm double-sided rondelle. Sold per pkg of 100. Item Number: H20-8947MB Have a question about this item? 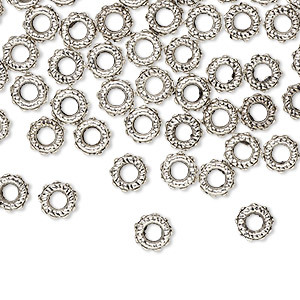 Antique silver-plated "pewter" (zinc-based alloy) beads are an easy way to add high impact style to any design. 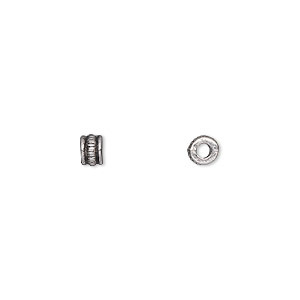 Thoughtfully detailed beads have the look of precious metal at an affordable price. 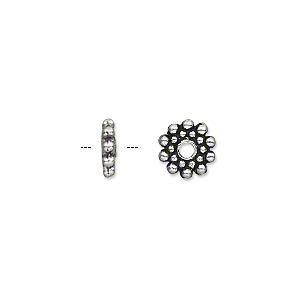 Bead, antique silver-plated "pewter" (zinc-based alloy), 6x2mm double-sided rondelle. Sold per pkg of 500.